We are qualified and we are insured. 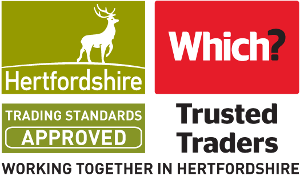 We are Gas Safe registered for domestic gas and are a Water Industry approved contractor. We can visit your property to see what work needs to be done and provide you with a free quotation. Our aim is to bring to the Which? community a professional and reliable service, from minor plumbing issues to boiler maintenance, boiler installation and servicing to bathroom design and creation. All workmanship is guaranteed under a warranty. Please call us with your plumbing & Heating needs, we look forward to speaking to your soon. I found James on this website and agree with all the reviews. He provided us with a solution to increase our water pressure and have multiple showers which exceeded our expectations. A super solution and price that was 60% cheaper than other quotes. James is a hard working and very professional. Would highly recommend him. We just moved into a new home and needed Water Filter, Water Softener, and Bathroom amenities fixed. James was quick to respond to my first phone call and came to visit in a couple of hours. Generated a quote the same day and was available to get to work in 2 days time. James workmanship, cleanliness and dedication is admirable. Very happy with the work conducted. Will definitely be calling on his expertise again. Would recommend him to anyone. James was on time for two appointments and for doing the work. I had an old conventional boiler exchanged for a combi boiler, a washing machine moved from kitchen to cloakroom, and other small jobs done. I liked the fact that James discussed what I needed, gave the estimate and did the work himself. He was informative, quiet, hard working, careful of my property and cleaned up after wards. What more could I want. I would certainly use him again. Myself and my wife purchased our new property when we quickly realised we didn't have a boiler that functioned and wasn't sure if it had to be fixed or replaced. a friend from my work recommended James, i called him so he could give us a quote on what work had to be done and within 24 hours he was at our property. after we got back from holiday i booked James in and from his first day of the work he quickly got done to business. he is a charming, and genuine down to earth nice guy. he put mine and the wife's mind at ease and nothing was too much trouble. I would recommend to family and friends again and again and the main reason being he is a top professional and nothing was too much trouble. Contacted for a broken toilet cistern which flooded the house. James gave good advice over the phone and arranged to come round the following day. James arrived when he said he would, and got straight on with the job and soon had the cistern repaired and working order with no mess left behind . Impressed with knowledge and skills and would have no hesitation in recommending him, will definitely use his services again. Within 24 hours of me asking him for a quote to flush my central heating system James had arrived, completed the work expertly and left. I'd certainly recommend BBH plumbing to anyone wanting an efficient service at a reasonable cost. Encouraged by his average score of maximum stars and that his location was local I contacted James in the morning and he came the same day and I found him to be friendly,considerate of our carpets and very efficient in carrying our a repair to our kitchen sink. I shall have no hesitation in recommending him to our friends. The job was carried out efficiently from start to finish. James was prompt in responding to my phone call, quoted a price which I was happy to go along with, fixed an appointment for the job, arrived on time and was professional, courteous, clean and tidy. So happy to have finally found someone who is honest and did a great job. Would definitely use him again. Highly recommended. James was friendly, fast and efficient, he provided a high quality service. No issues, in fact he resolved some pre-existing issues that I had that thought had to be worked around. Reasonably priced quotation. A pleasure to do business with will definitely use him again for any other plumbing work. Due to a leak in our (very old) UFH system, we needed it (and the tiling) removed and a new system installed and then re-tiled. It's a bit more complicated, as this we needed a 'wet' system for suspended floors - without any build up of floor height. James was able to advise on the correct system to ensure all our demands were met. We were expecting the quote from a 'Which? 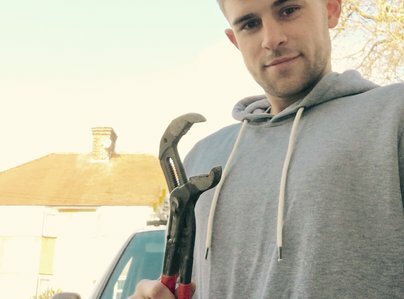 Trusted Trader' like James (BBH) to be higher than other plumbers that were word-of-mouth recommendations - but his quote was the best. Despite providing the best quote, he carried out the installation expertly, even ensuring that the manifold and pipes were sited to minimise use of space behind the cupboards. He encountered unexpected problems with our old building/plumbing, but he never said, "this is going to cost more". He also finished exactly on time. 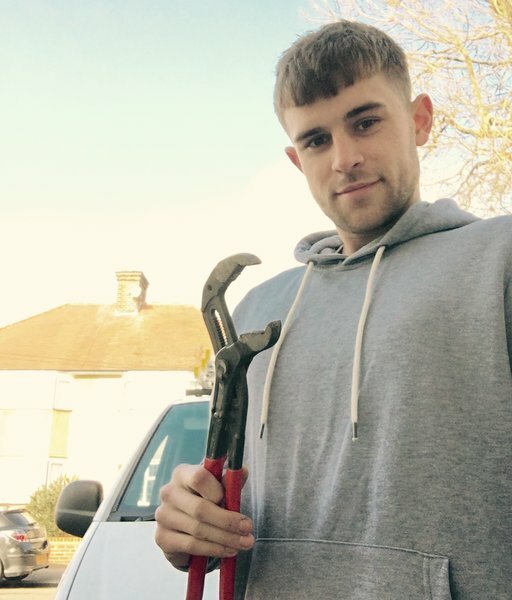 I'm so impressed by this young and very well trained plumber, that I'm recommending him to friends and family - something that I normally don't do.